National Drink Wine Day is February 18, 2014. This day is a celebration of wine, its benefits, and its versatility. As I’ve written many times, wine is a celebration and an event. In moderation, wine can be beneficial to your health. Wine has been around for over 6,000 years and has been the focal point of special occasions for most of that time. Whether your choice is red, white, or rosé, sweet or dry, wine is the preferred drink of people around the world. Americans consume approximately 13% of the wine made in the world, making us the top country in wine consumption. Recently, wine news reported that Americans were drinking more Italian wines than Italians were. Though some states are not as far along in their development, all fifty states make wine. Americans are planning vacations to various wine regions of the United States every year. Wine should be celebrated on National Drink Wine Day, as well as the other 364 days. From one wine lover to another, Cheers! Thoughts of wine and romance seem to go hand in hand. With Valentine’s Day nearing, wine lovers are looking for ways to show their love to a special someone. 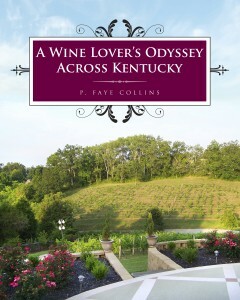 Celebrating your love at a Kentucky winery has become an annual event for many. Many of the wineries, such as Horseshoe Bend Vineyard and Winery, Equus Run Vineyard and Winery, Talon Vineyard and Winery, and Prodigy Vineyard and Winery, have scheduled special events. Whether you choose one of these, or would like to go to another winery, I suggest that you go to the Kentucky Wine website (check my links), and visit the website of the winery of your choice. If you celebrate with your loved one at home, look for one of Kentucky’s fine wines at wine shops and liquor stores around the state. My husband and I are looking forward to celebrating our love with our first bottle of 3 Reds by Wight, produced by Jim Wight at Wight-Meyer Vineyard and Winery.